Q - When is the best time to go Myanmar? A - NOW. Go now before the tourists multiply by the thousands, and before the country changes to fit Western ideals and demands - Myanmar may lose some of its character and charm in the process. The Myanmar people typically have a simple and humble life. Many socialise and chat in the streets for hours on end, young and old in the blistering heat, and don't mind when the passing motor traffic kicks up clouds of dust. 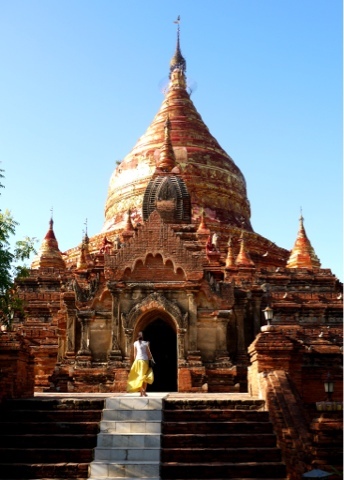 Men and women wear traditional longi's, and the laquerware and sand paintings are as plentiful as the thousands upon thousands of temples and Buddhist monks in their distinctive saffron coloured robes amongst the Myanmar crowds. The week was a bit of a struggle with no mobile phone reception, and super slow WiFi connections (if it was available). This made us realise how much we sadly depend on such technologies in our daily lives! Mandalay - U Bein Bridge. 1.2km teak footbridge. Go at sunset! Walk across it first, and then get a paddle boat back. Bagan - An archaeological zone. Go to see thousands of temples scattered everywhere you look. 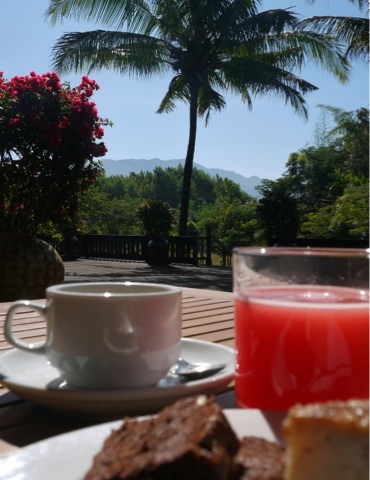 Stay at the Thiri Marlar Hotel - they provided a wonderful breakfast and candle light dinners on the rooftop terrace. Inle Lake - a honeymoon hotspot. Very romantic, scenic and tranquil. If you ignore the odd motorboat engine noise here and there. We would recommend you stay in A Royal Suite at Inle Resort. Pure luxe with tonnes of Myanmar charm. Made it after walking up 777 steps barefoot. Made more difficult having to dodge all the monkey poo on the steps. Mirrored pillars were common decor with the Buddhist temples. Giving a wonderful sparkle in the sunlight - amazing! Myanmar market purchases - sellers will no doubt see tourists a mile away so bargain hard! Only pay for what you think it is worth. The silver colored bracelet was US$ 7 and bronze colored bangle was US$ 1.